Search and Rescue by Samantha Glen. Beth Barkley and her German shepherds, Panda and Czar, are all members of the Fairfax task force affiliated with the Virginia Department of Emergency Management and the US State Department. From El Salvadoran earthquakes to the Oklahoma City bombing site, they comb through acres of death in search of the breath of life. Beth is a close friend and we have taught many a class with Panda and Czar sitting by Beth's side. So That Others May Live: Caroline Hebard and Her Search and Rescue Dog by Hank Whittemore and Hebard. Tells the story of Hebard's work training rescue dogs and participating in rescue efforts for earthquakes, bridge collapses, and floods. Hebard co-founded the volunteer US Disaster Response Team, and worked with her dogs at the aftermath of Mexico City's 1985 earthquakes as well as disasters in Armenia and El Salvador. Includes b&w photos. Emma and the Night Dog by Susan Aller. 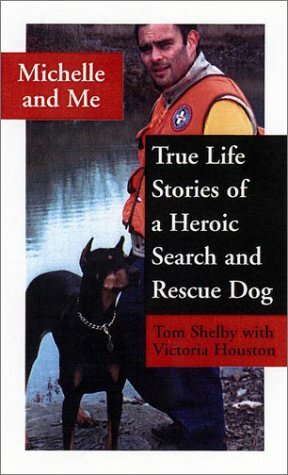 (Fiction - Children's Book) Inspired by the Connecticut Canine Search and Rescue. A young boy runs, panicked, lost in the dark woods, while a little girl, Emma, is safe and warm at home. Her aunt Alice arrives at the house with the search dogs and their owners who need to rest for a few hours. But the girl is haunted by the thought of a tiny boy alone in the dark. Aller effectively switches the point of view back and forth from the lost child to the secure one, dark to light, danger to safety. Michelle and Me by Tom Shelby with Victoria Houston. It is true-to-life wilderness SAR experiences, complete with bumbles, disappointments, long cold nights and occasional hilarity! Interspersed with the vivid search stories are tales of his work as a dog trainer/behaviorist; sometimes they're insightful, sometimes just comic relief! Published by Penguin Putnam 2002, ISBN 0-425-18451-X.